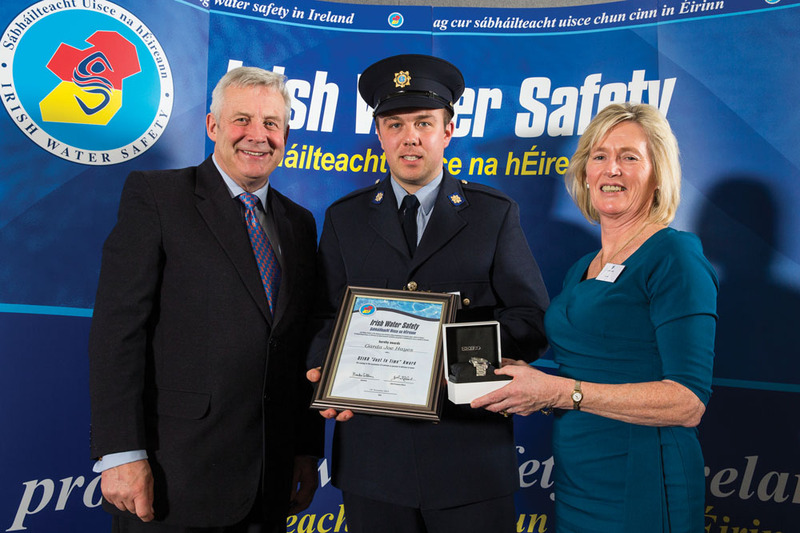 The bravery of seven gardaí was recognised recently at the Irish Water Safety Awards. Seven garda members were among 37 rescuers, from 22 dramatic near-death incidents, who received recognition at Irish Water Safety’s national awards ceremony at St. George’s Hall in Dublin Castle on November 19th 2013. Fergus O’Dowd, TD, Minister of State at the Department of Communications, Energy and Natural Resources and Environment, Community and Local Government presented the ‘SEIKO Just in Time Rescue Award’ to these rescuers in appreciation for saving so many lives. 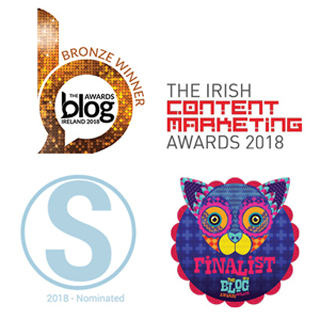 On June 6th 2012, Garda Joe Hayes, a well known footballer, was on this way to work when he spotted a young woman in distress standing by the edge of the water at the River Shannon. The woman entered the water and without hesitation Hayes jumped in after her and brought the woman to safety. The woman made a full recovery. On March 21st 2013, at River Swilly, Letterkenny, Garda Shane McGee was alerted to a report that a man had jumped into the water. Without hesitation McGee went to the river and, observing a person in difficulty, he entered the water and bravely brought the person out of the water to safety. Although the person was saved, he tragically died three days later. McGee was abroad at the time of the award ceremony. On the evening of January 31st 2013, at Peters Lake in Monaghan town, Garda Donal Callaghan was on duty when a call came into the garda station about a woman in distress in a local waterway. Callaghan immediately went to the scene, and entered the water and swam to the area where the lady was spotted. He found a female face down and unconscious. He brought her to safety and, with the help of colleagues, lifted her to shore. He performed CPR on her and successfully resuscitated her. She was taken to hospital and made a full recovery. Due to his quick thinking and selfless course of action the life of this woman was saved. On September 23rd 2013, a local taxi driver alerted the gardaí to a woman who had entered the water at Oldtown Bridge in Letterkenny. Garda Colin Dodd rushed to the scene and entered the water and upon reaching the woman, brought her to safety. The woman was taken to hospital where she made a full recovery. On November 18th 2012, just three weeks after his first water rescue, Garda Mark Irwin was on duty with Garda John Boyle, at the Quays, at an area called ‘The Point’. They came upon a car at the edge of the pier. There was a man in a distressed state standing on the pier and another man in the water. The gardaí threw him a lifebuoy but the man wouldn’t let go of the ledge. They went down a ladder towards him and reached the man and pulled him up the ladder to safety. The man was taken to hospital where he made a full recovery. Garda Irwin’s second rescue took place on October 29th 2012 in Westport, Co. Mayo. A car toppled 15 feet into Knappaghbeg Lough and landed upside down in the lake. Both Garda Stephen Corrigan and Garda Irwin entered the water but had difficulty opening the car door. Irwin managed to manoeuvre his hand into the car and keep the person’s head above water. The fire brigade arrived approximately 20 minutes later and used cutting equipment to free the man. The man was taken to hospital where he made a full recovery.